I have had the great privilege of caring for many cancer patients in diverse settings over my 30+ years as an oncology nurse, but one thing I have long felt was lacking in oncology care was a focus on prevention and health promotion for cancer survivors. The current health care model is primarily one that is disease-focused as opposed to a proactive model that focuses on disease prevention and health promotion in a patient-centered and culturally-sensitive manner. While great advances have been made in oncology care and survival rates have improved, many cancer survivors are faced with unmet physical, psychosocial, and spiritual needs following a cancer experience. Therefore, more attention should be placed on helping those affected by cancer achieve their optimal state of well-being following a diagnosis of cancer. It is not unusual for cancer survivors to feel as though they have little control over their health following a cancer diagnosis. However, once the shock of the diagnosis subsides and treatment is initiated, many individuals begin to wonder what they can personally do to enhance their overall health and help improve their chances for long-term survival. Oftentimes, true healing only begins once treatments have ended. 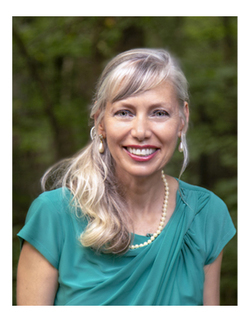 As an integrative health coach and oncology nurse with a holistic approach to healing, my mission is to help individuals flourish despite the challenges from the threat of cancer. I am passionate about partnering closely with clients to guide them in developing a health vision and plan and then empowering them to move forward in achieving their optimal state of well-being through healthy lifestyle practices (e.g., nutrition, physical activity, stress-reduction, etc.). I believe that even in the midst of dark times, human beings have the capacity to grow and fully flourish. The metaphor of a moonflower gracefully unfolding in the dark of night to showcase its beautiful bloom can help us realize that dark times, such as the challenge of a cancer diagnosis, can provide opportunities to fully awaken and thrive. Through my business, Moonflower Health and Wellness LLC, I provide individualized integrative health coaching and wellness consulting for individuals affected by cancer, as well as for others interested in reducing their risk for cancer through healthy lifestyle behaviors. I offer both in-person coaching sessions and wellness consultations, as well as virtual online and phone options. As a certified yoga teacher, I may offer suggestions for yoga postures, breathing techniques and meditation practices for those interested in exploring the benefits of these healing modalities. Yoga, relaxation breathing, and meditation have all been found to be helpful for inducing relaxation and reducing anxiety in the general population and among cancer survivors. Additional benefits of regular yoga and meditation practice among cancer survivors include decreased fatigue, pain, improved sense of vitality and mood, and better sleep. In the future, I plan to host group yoga and holistic wellness programs related to cancer prevention and risk reduction for recurrence, secondary cancers, and other chronic illnesses. Post-Master’s Nurse Practitioner Certification in Primary Care from the University of Miami.